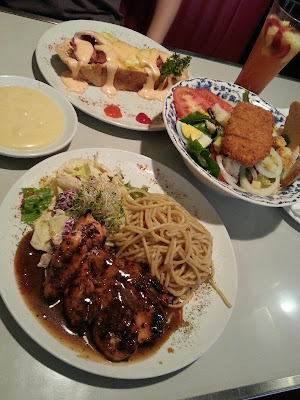 Note: The place not so big with their kitchen bar concept, you can see your food being cooked there. 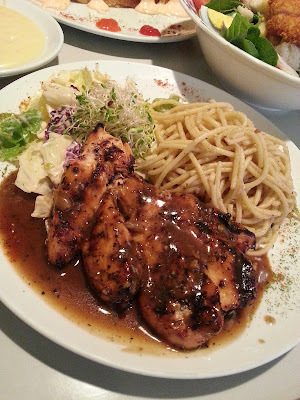 Southern Chicken Steak come with grilled Chicken breast accompanied with spaghetti and salad. Simmered with Black Pepper Sauce. Taste nice and fresh. 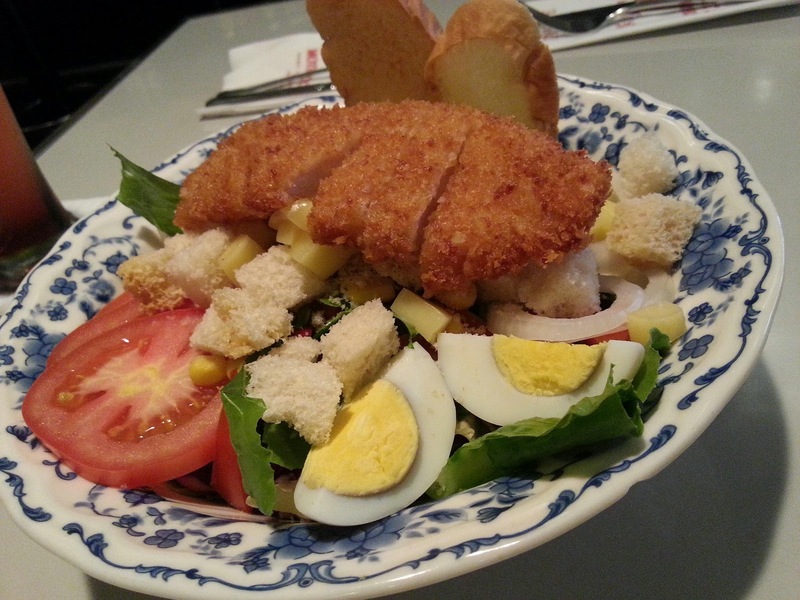 Chicken Salad come with lettuce, tomato, corn, olive, egg, onion, bread and topped with deep fried breaded Chicken. 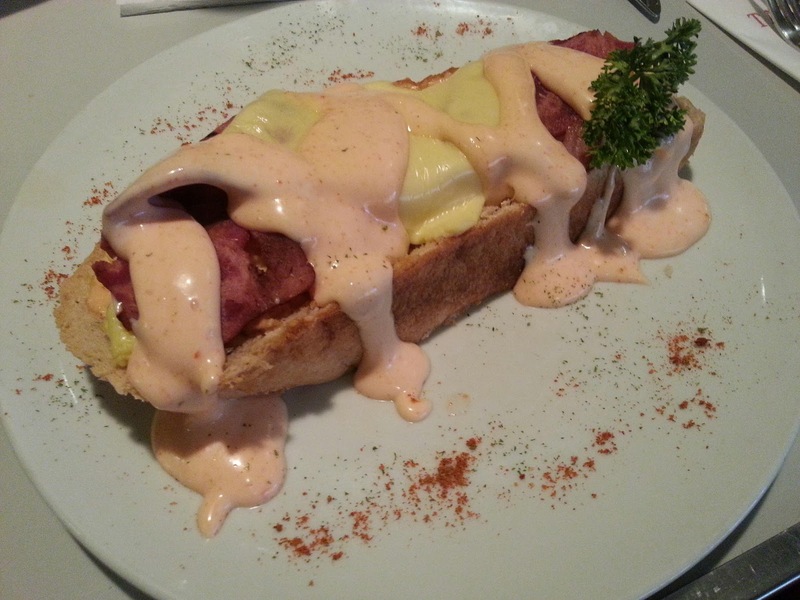 Also included Mayonaise Sauce. Taste nice and fresh. Moon Over My Bacon Sandwich come with Sandwich topped with Egg Emelette, Beef Bacon and Cheese. Taste very salty.